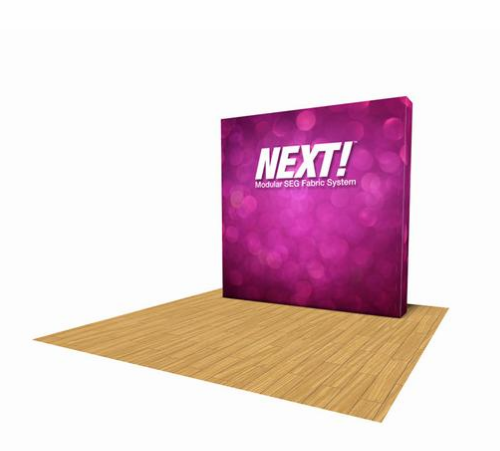 The just-released NEXT! 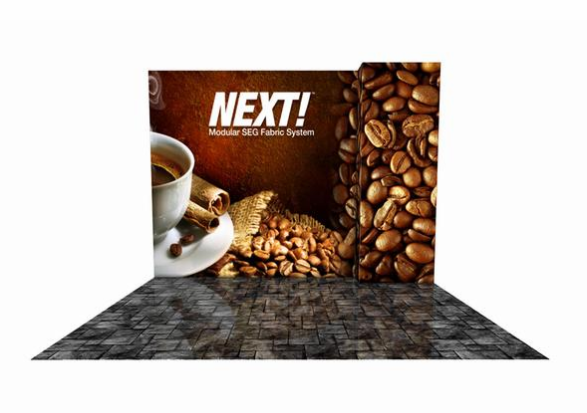 SEG popup display from Thompson Kerr Displays, is light-weight, portable, modular, and doesn't wrinkle. It's built on the familiar, lightweight Xpressions type accordion frame, and comes with the same LIFETIME hardware warranty. Set up and disassembly for the NEXT! 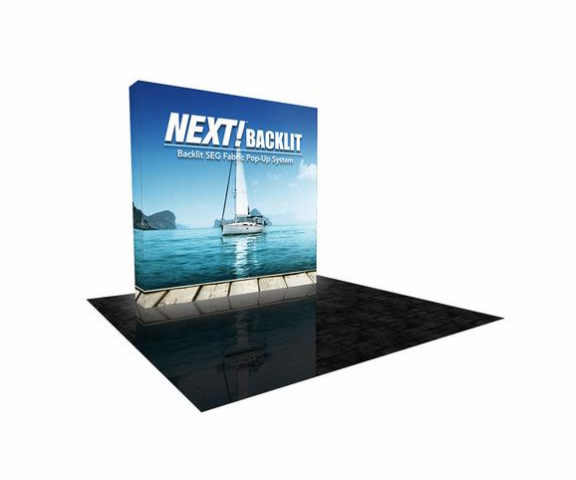 SEG Pop Up Display is almost the same as a standard fabric pop up display. The difference is, once you have the accordion frame opened, you place several light-weight extrusions on the border of the expandable frame and snap them onto the provided hubs..no tools required. This helps to make the frame rigid and lock it in place. Just as important, those extrusions provide a groove for the silicone edge graphics. 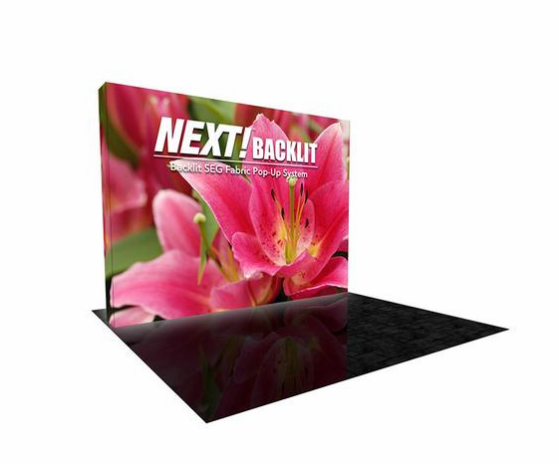 Last, you install the SEG dye sub fabric graphic onto the NEXT SEG Pop Up Display frame. 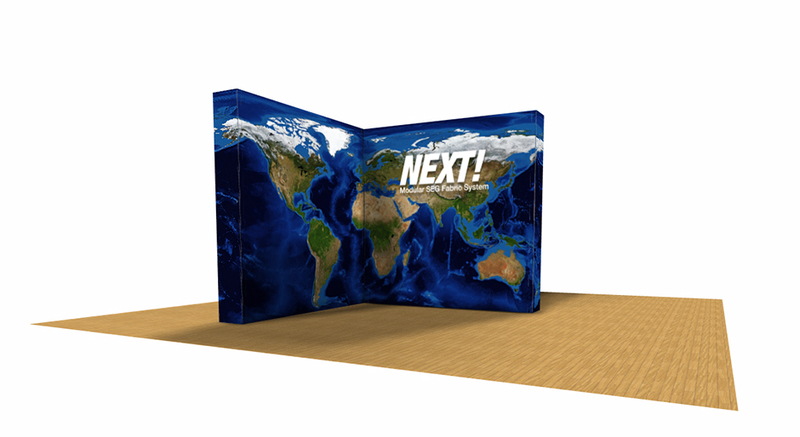 Final result..the NEXT word in light-weight pop up displays, with SEG fabric graphics and NO wrinkles! The NEXT! 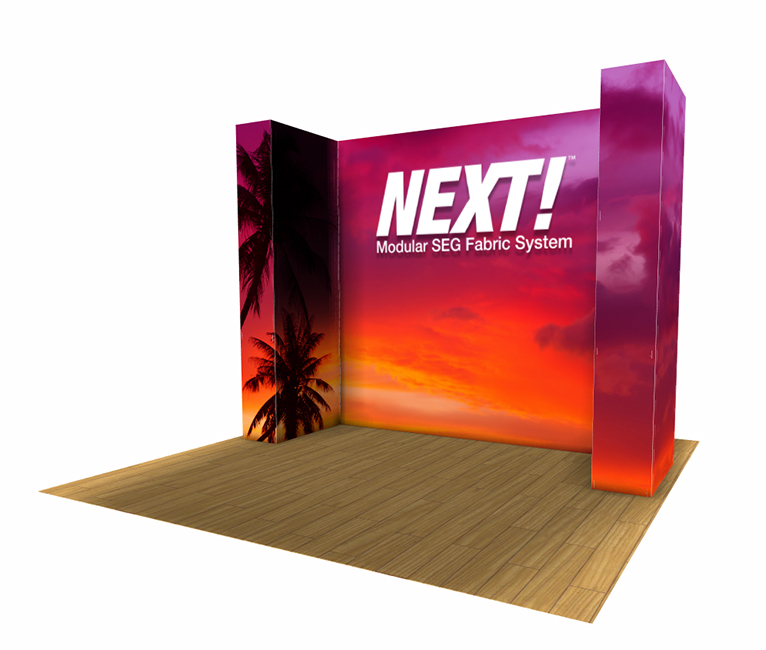 SEG Pop Up Display comes in standard frame sizes like the Xpressions and the VBurst Pop Up Displays: 1x3, 2x3, 3x3, and 4x3. 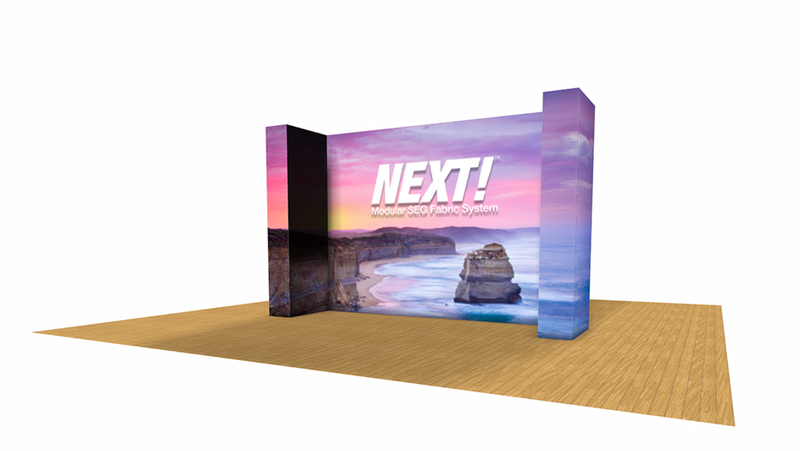 Like the VBurst pop up displays, the NEXT! frames can have a single graphic on the front face. However, you can continue that graphic onto one or both of the end caps. Or if you want, you can place separate graphics on each vertical face of the NEXT! 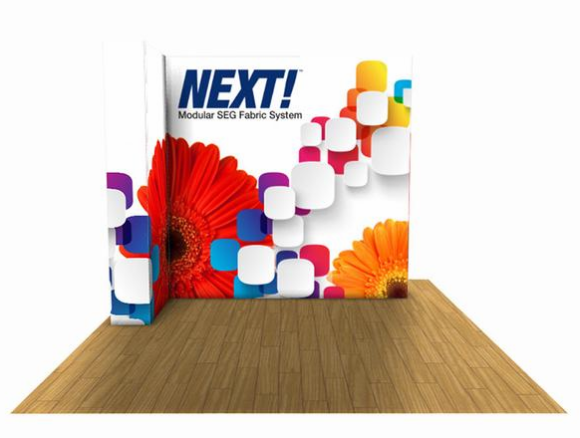 SEG Pop Up Display. 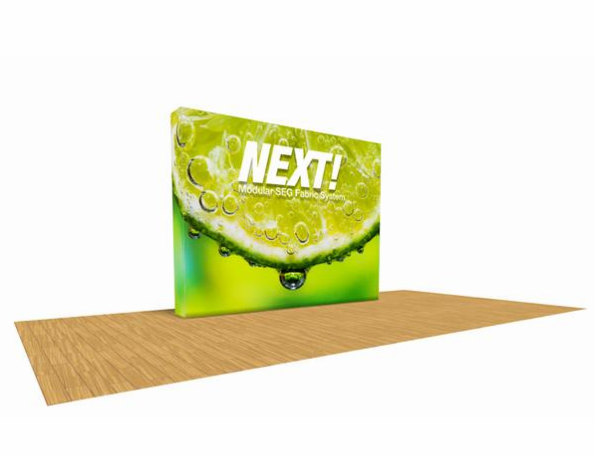 And if you want, you can completely wrap the frame with one or multiple graphics. End result..a taut, wrinkle free graphic with no frame showing. It looks like a million bucks, but weighs very little, sets up quickly, and sports quick change, great looking graphics! The NEXT! highlight is its modularity. You can place NEXT! frames side by side, and have a display that connects into a single display, with no frames showing.